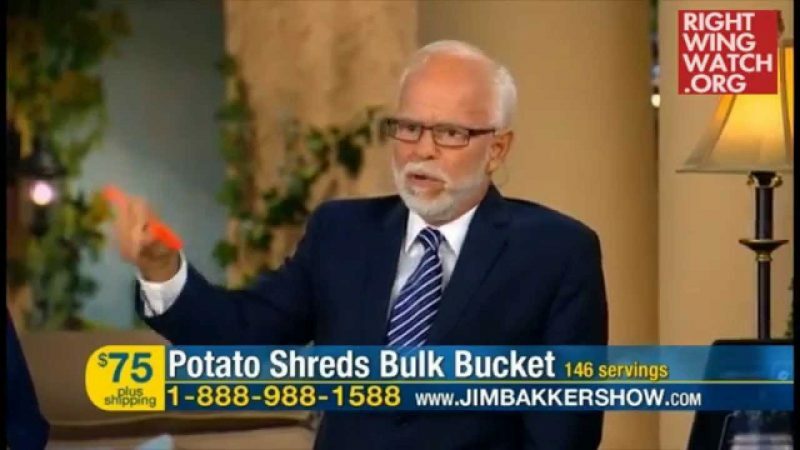 Televangelist Jim Bakker yesterday equated the supposed persecution of Christians in America to the violent persecution of Mideast Christians by ISIS terrorists, telling his audience that the U.S. government may soon “mow down” Christians who pray in public spaces. Bakker said that he himself is a victim of anti-Christian oppression and that people should prepare for massive starvation and beheadings. Bakker said that such anti-Christian brutality is seen in the War on Christmas, praising Donald Trump for his pledge to save Christmas as president. “It’s almost illegal to say ‘Merry Christmas,’” he said. 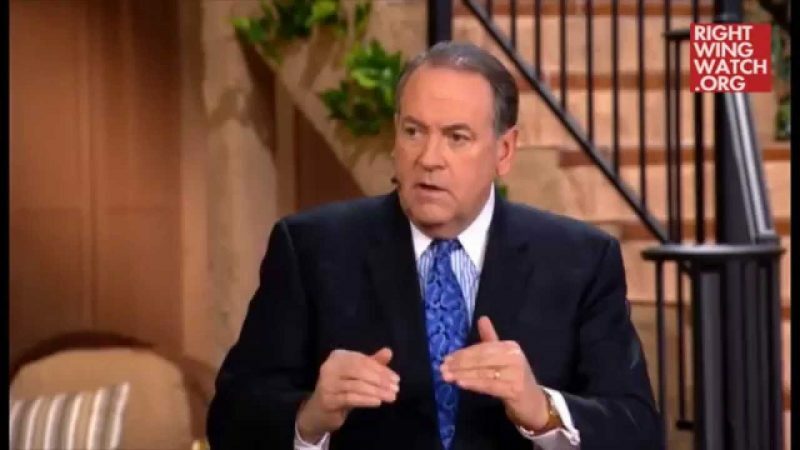 After guest Rick Wiles, the host of the End Times radio program “Trunews,” urged people to commit civil disobedience in cases where the courts block school-organized prayer, Bakker predicted that Christians will soon be gunned down for praying. “So what if they did? 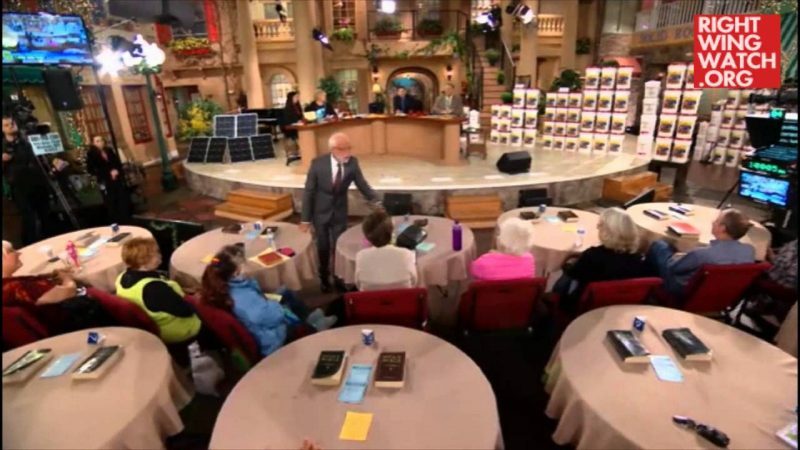 They’re going to come in and shoot 500 parents at a high school graduation for saying the Lord’s Prayer?” Wiles responded. 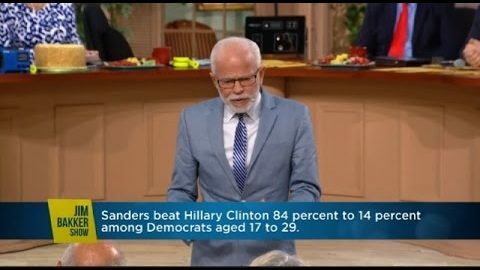 Jim Bakker: We Are All On Drugs!